Peak Towers Pattaya - Prices start from 2.25 million Thai Baht. Peak Tower Pattaya Rental - from 13,000 Thai Baht per month. Apartments for rent in Pattaya - short or long-term vacation apartments for rent - large selection of Pattaya apartments for sale at Pratumnak Hill - we can help you rent-to-own with our Flexible Payment Plans. 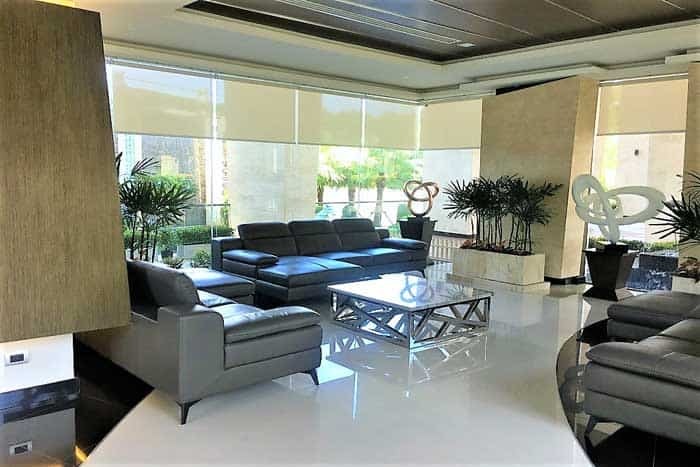 The Peak Towers condominium is located in the highly sought after area of Pratumnak Hill, a popular location for many foreigners as it is nestled between South Pattaya and Jomtien, very close to Cosy Beach. 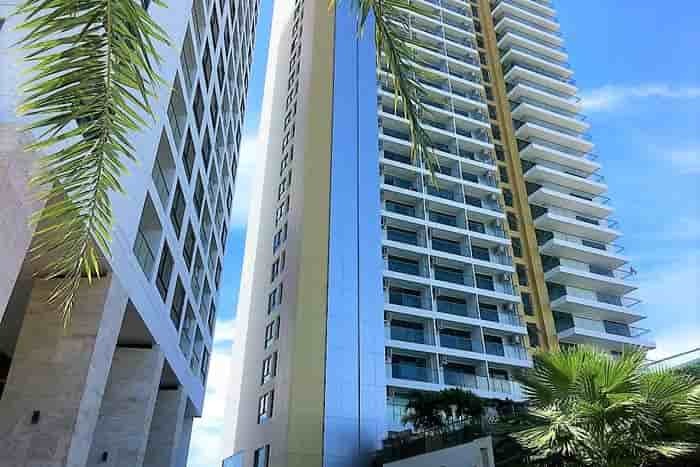 The complex is a new high rise residential building, consisting of 30 floors and offering spectacular sea views and views of the city and the sea. The beach is just 400 meters from the building, and there are numerous restaurants and coffee shops in the area. The Peak Towers offers tropical landscaped gardens with lovely water features, plenty of relaxation areas, and three fantastic swimming pools; the largest pool being located on the second floor, with the water from this cascading down to a shallow relaxation pool; or for swimming with fantastic sea views there is the infinity swimming pool on the rooftop. There is an in-house restaurant and business center located close to the lower level pools, along with a children's play area. 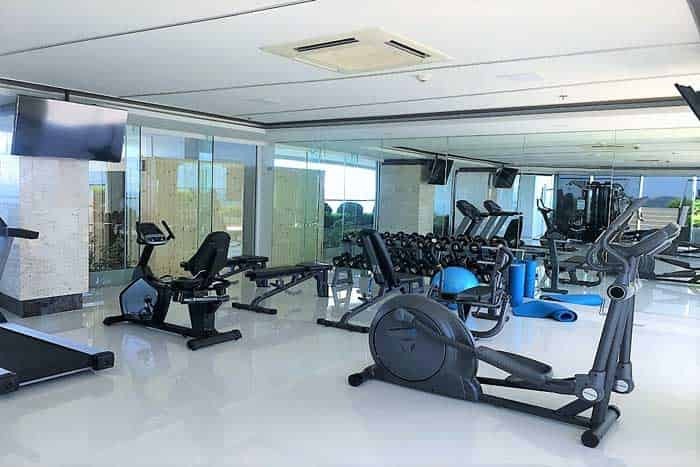 In additions to the infinity pool, the rooftop is also home to a gym, fitness area and the sky lounge, from which you can enjoy the stunning views over Jomtien Bay. Pratumnak Hill offers an abundance of restaurants, shops, beauty and massage parlors and bars. Attractions such as Pattaya Water Park, and Cosy Beach are nearby, as is Big Buddha Hill, which offers panoramic views of the area, and is a lovely area for walking or bike riding. The central location allows for easy access to Jomtien or Pattaya by public transport, being close to the main baht bus route, which is a quick, easy and cost effective way to travel around Pattaya. For just 10 baht you can take the baht bus into central Pattaya, which offers an abundance of shops, restaurants and bars, a vibrant night life, plenty of tourist attractions to keep you entertained and 4 km of beach offering various water sports and trips to the nearby scenic island of Ko Larn. Or you could head the opposite way into the quieter area of Jomtien where you can also enjoy restaurants, shops, bars and water sports on the 6 km uninterrupted stretch of sandy beach.